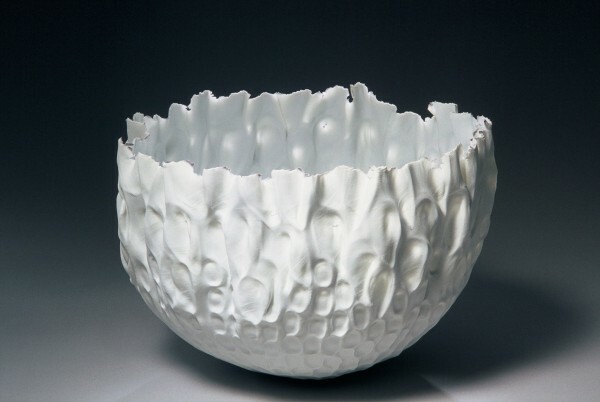 Unglazed white porcelain bowl with an uneven pressed surface and torn edges. The bowl is made from a thrown blank vessel, which is suspended from a hanging turntable. The maker stretches the form befrore pressing it with his hands to produce areas of translucency. The edges are teared to create a delicate ragged edge. Flame, Dan Fisher, 2004, Crafts Council Collection: P484. Photo: Heini Schneebeli.